Ganja automobile plant production unit and German Eurabus GmbH have signed an official agreement on assembly of Eurabus electric buses in Azerbaijan and third countries. The agreement was signed by the head of the PU’s supervisory board Khanlar Fatiyev and Eurobus’s director general Christian Seitz, Trend reported. Being presented in Belgium in 2013 the second generation electric bus Eurabus 2.0 is considered to be more economic than a classic diesel bus and drives with zero emission. 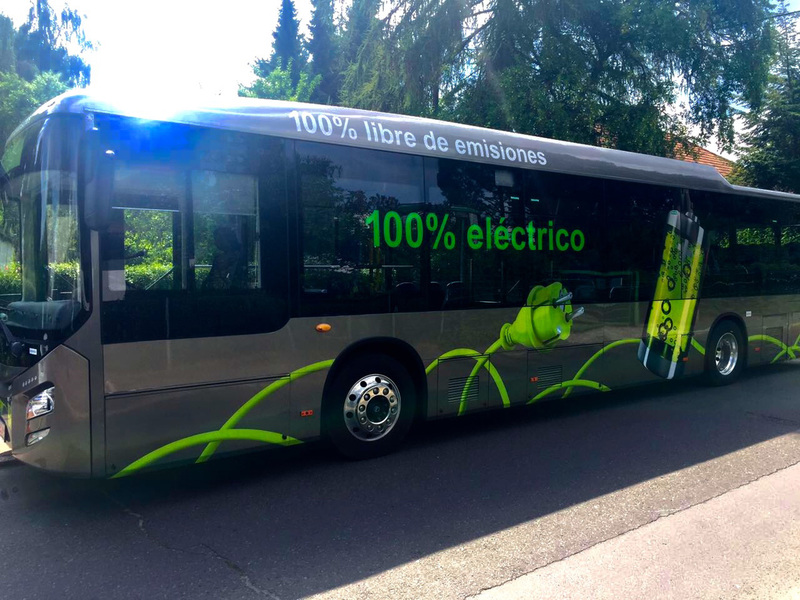 The buses with the length of 12 meters are being set in motion with the help of in-wheel electric motors ZA-wheel with the capacity of 130 kilowatt. The motors are manufactured by German Ziehl-Abegg Automotive GmbH Company. Driving distance of buses for one charging amounts to 250-300 kilometers. The charging process may range from one to five hours mainly depending on the charger type. Being absolutely noiseless the buses are also considered to be environmentally friendly as they operate without exhaust gases. Being a brand of the Euracom Group, Eurabus GmbH is an experienced constructor and manufacturer of special vehicles and electro-buses. The company cooperates with the front runners in the sphere of development and application of innovative concepts in the field of battery technology, management systems, and energy regeneration. Azerbaijan is currently working to develop its car manufacturing industry. The country has already taken certain steps to reduce environmental impacts from motor vehicle emissions and switched to the Euro-4 ecological standard in 2014. The Euro-4 ecological standard is applied to vehicles imported and manufactured in Azerbaijan to reduce the emission of vehicle pollutants into the atmosphere and improve the environmental situation in the country. Ganja Automobile Plant which was established in December 2004 is capable of assembling up to 1,000 trucks and 2,000 tractors each year. The plant also produces tractor trailers, communal machinery, and snow removal equipment. Currently, the plant is engaged in the assembly of Belarus tractors and MAZ, KAMAZ and Ural vehicles.